The key to success is teamwork, each of our partners have an important role. We work together to achieve an high quality event. Airstar is represented exclusively by smallWORLD. We have extensive stock available in Macau for events retail. Airstar is World leader in outdoor / indoor balloon lighting systems. smallWORLD with its partner Human Rhythms created a unique solution in the World in close cooperation with AJ Hackett – Sky Drumming. AJ Hackett Macau Tower is home to the Worlds Highest Bungy/Bungee, Skywalk X, Skyjump, High Exposure and the World’s Only Urban Tower Climb – 338m. China Imperative is smallWORLDs close partner in Beijing where it has its main office. 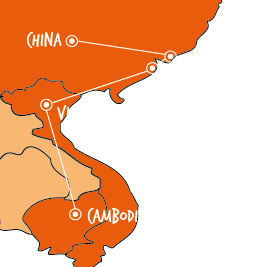 China Imperative uses an integrated approach in applying its diverse business consulting expertise to the needs of the foreign investment community in China, namely Integrated Marketing Consultancy and Services. DOC DMC Macau | Hong Kong is the sister company of smallWORLD. As Destination Management Company (DMC) it complements our company in many projects where it offers comprehensive solutions. DOC DMC Macau | Hong Kong focus its activity on the MICE industry, specialy in three areas: the destination management, event planning and conference management. The perfect solution for companies that intend to do their event in Macau or Hong Kong. DSL Lawyers are our legal consultants. 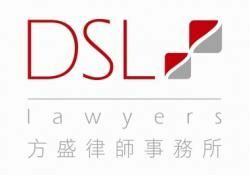 DSL Lawyers is a law firm based Macau specialized in Corporate Law, IP & IT, Property, Banking & Finance and Litigation, and also provides legal services in Insurance, Construction, Tax and Employment. DSL Lawyers guarantees the legal expertise in a multicultural environment, with a highly experienced and professional team. EHP Hong Kong Ltd works in partnership with smallWORLDs developing special training programs. Specialized in training, consulting and coaching EHP Hong Kong Ltd have been providing solutions to industries ranging from Hotels, Banking & Finance, Shipping, Sourcing, Merchandising to Logistics. smallWORLD Experience has the Franchise for Macau for Human Rhythms with exclusive rights and authority to establish and operate a Human Rhythms business in Macau. Human Rhythms is about bringing music and unity to teams of people. Human Rhythms prides itself on being at the leading edge of the corporate team building industry. We have a truly unique product that, due to its non-verbal nature, is relevant to all cultures and all ages. 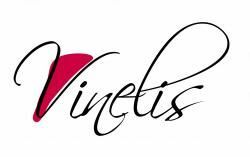 Vinelis is our partner in events involving wine, such as the Wine Casino and the Wine Making Academy. Based in Spain, Vinelis designs and organizes high-end image-building events around the greatest wines. Companies enjoy its events to communicate an image of prestige and exclusivity to their clients. CCILC-Macau is an organization that cares on providing professional services to their members, such as technical business support and assistance, information for the members business activities, organizing interviews and meetings, promoting the companies services or products and many other help needed to establish the commercial and industrial relationship between Portugal-Macau-China.